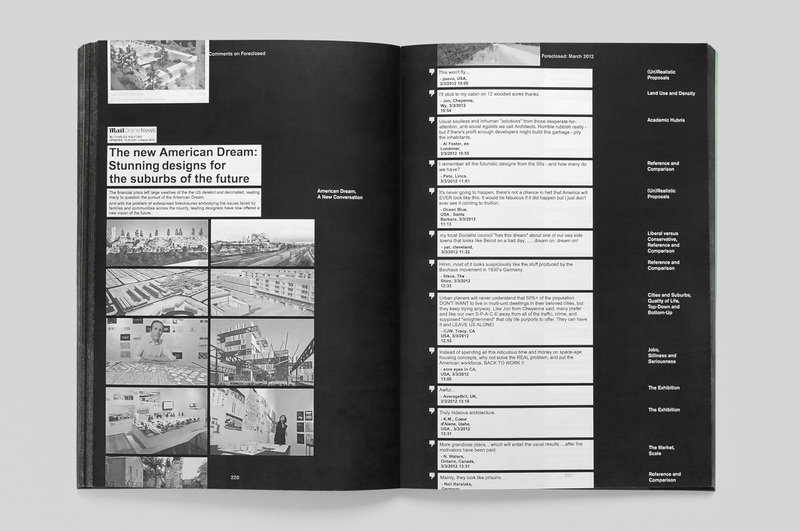 These MTWTF projects for the Temple Hoyne Buell Center for the Study of American Architecture, in collaboration with the Museum of Modern Art, are tools for cultivating a new conversation about the future of public housing in the United States, particularly in the context of recent economic crises. 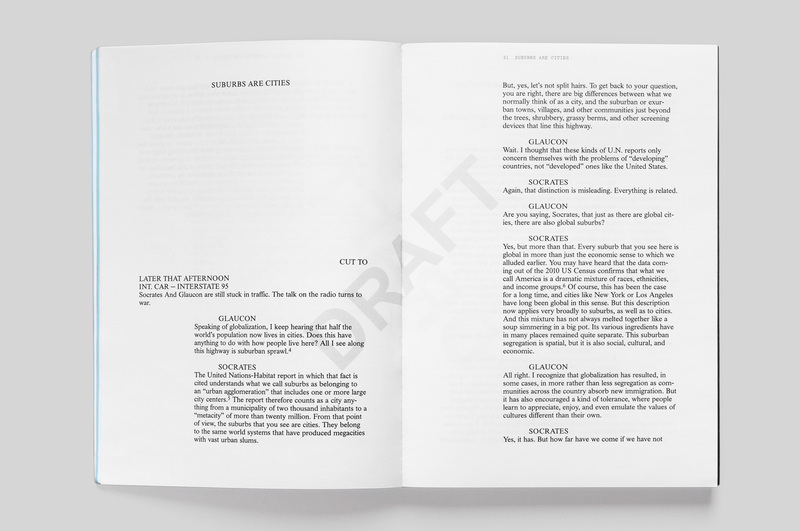 The media objects themselves—an array of mash-ups using archetypal formats (the screenplay, the scrapbook, the catalog, the political pamphlet, the field guide, etc. 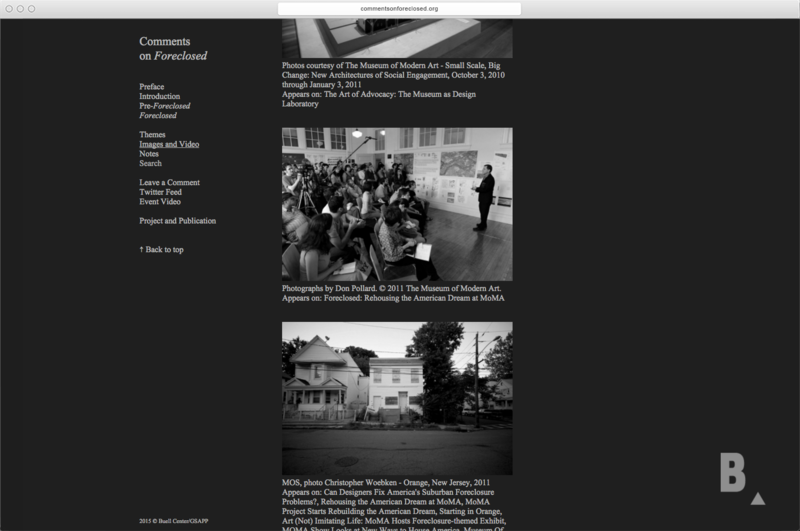 )—act as anchors for the many conversations and discussions raised by Foreclosed. 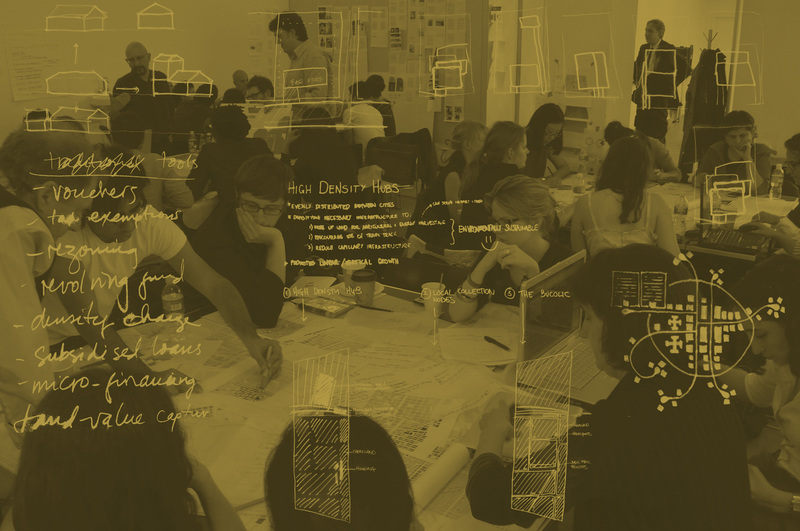 Public Housing: A New Conversation features the findings of a day-long policy and design workshop at Columbia University. 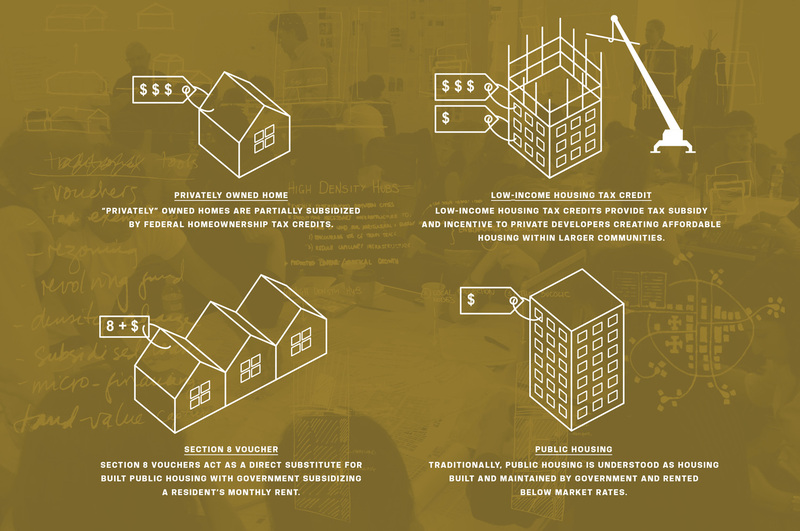 The content revolves around eight points developed during the proceedings which recognize the vast web of subsidized housing that already exists in the US (through tax breaks and incentives), and posits housing as public infrastructure akin to highways and water utilities. 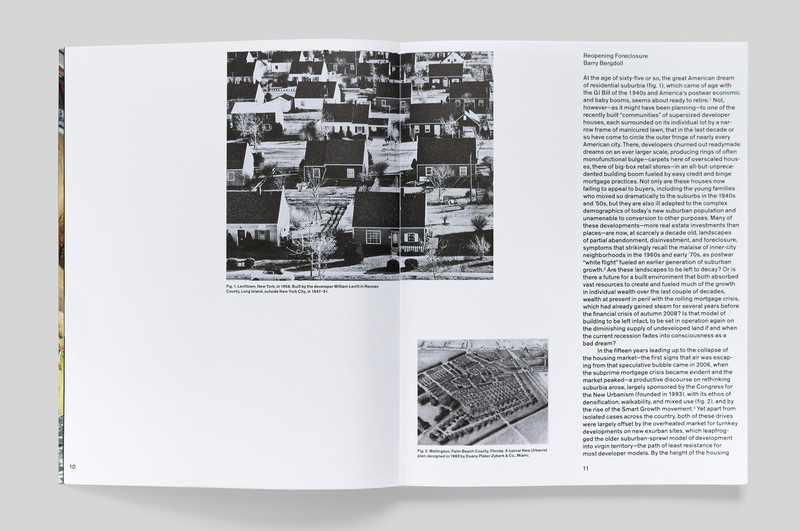 Inspired by American political pamphleteer Thomas Paine, Public Housing assumes a modest format enabling the Buell Center to distribute 5,000 free copies to libraries and educational institutions nationwide. 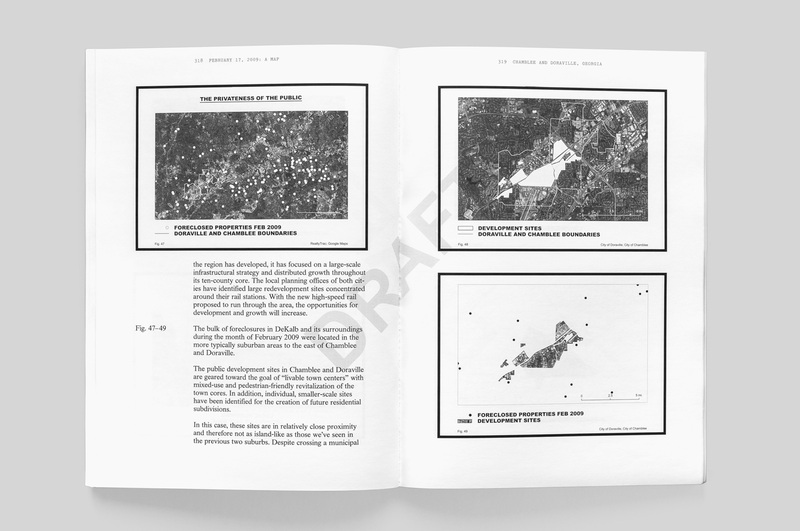 The pamphlet is divided into an introduction, index, and eight illustrated points. 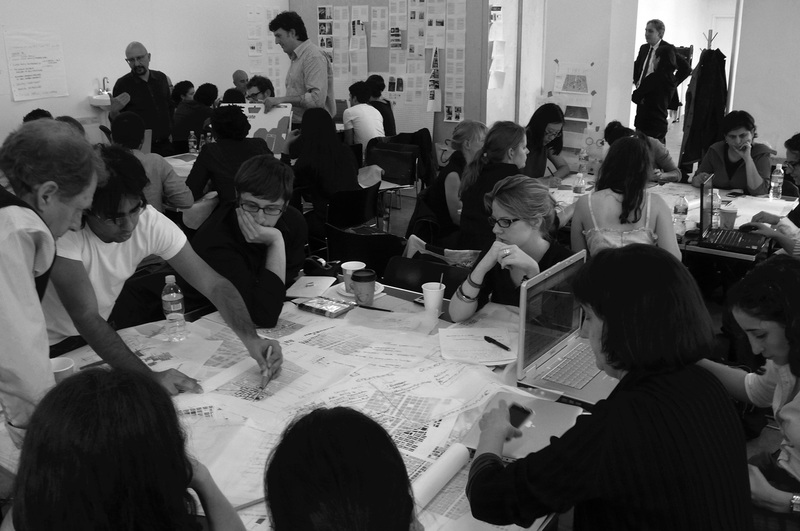 This content is supplemented by diagrams and photographs of the workshop which suggest both how the ideas emerged and how they might take shape in the world. 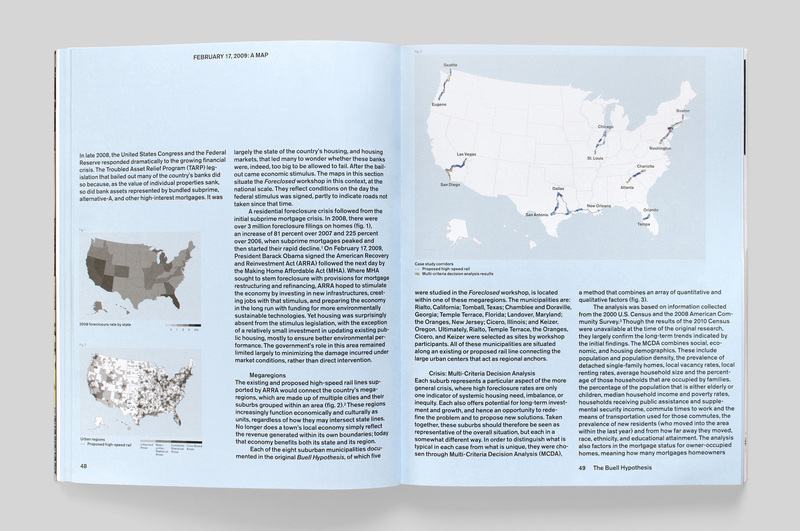 The index unpacks the workshop further by explaining its framework and offers, though maps and charts, a rich statistical take on the the points addressed. 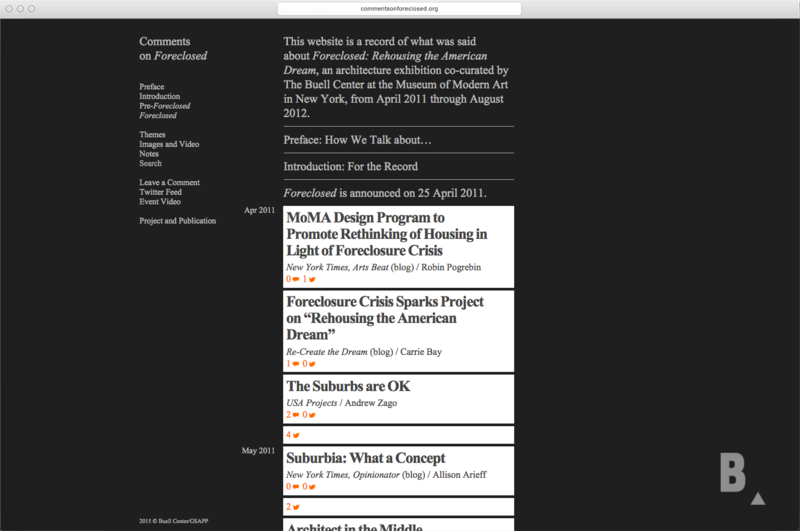 MTWTF’s design approach is both utilitarian and “message centric”, using a variety of graphic techniques to make the content accessible and easy to share. 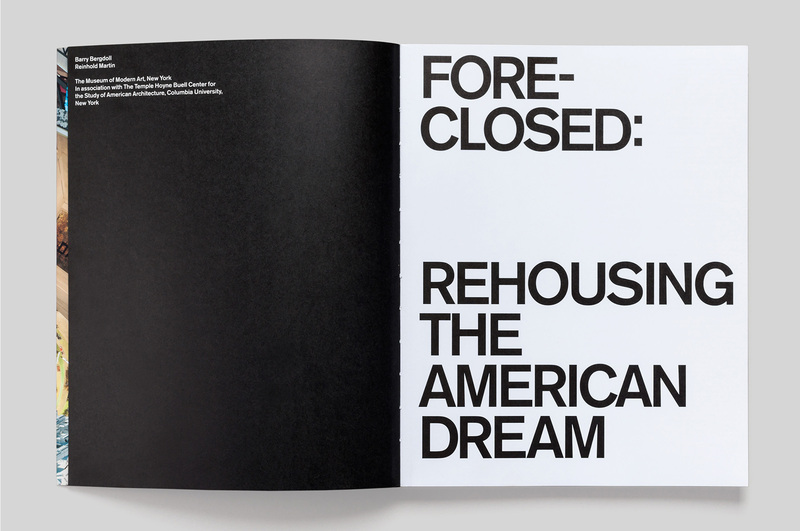 The Buell Hypothesis was conceived as the brief for the workshop, public process, and exhibition Foreclosed: Rehousing the American Dream and functions as a readily-available resource afterwards. 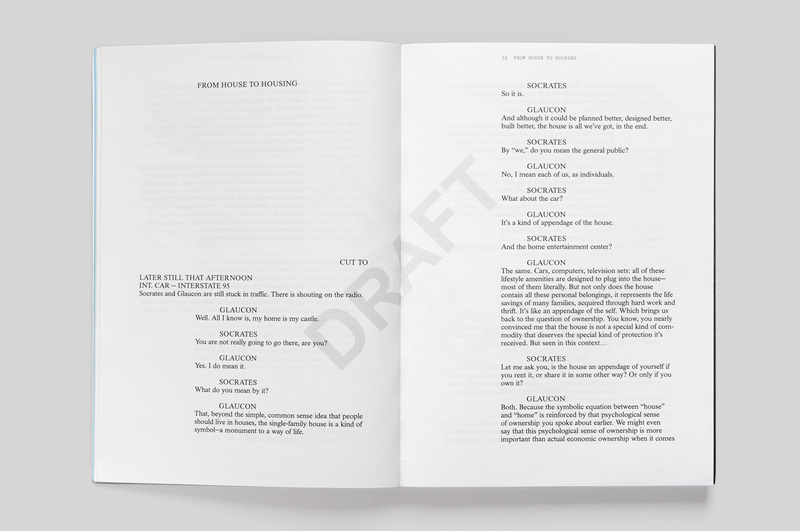 The book is a screenplay that uses Socratic dialogue to challenge outdated assumptions behind the American Dream of private homeownership amidst the foreclosure crisis and suburban sprawl. 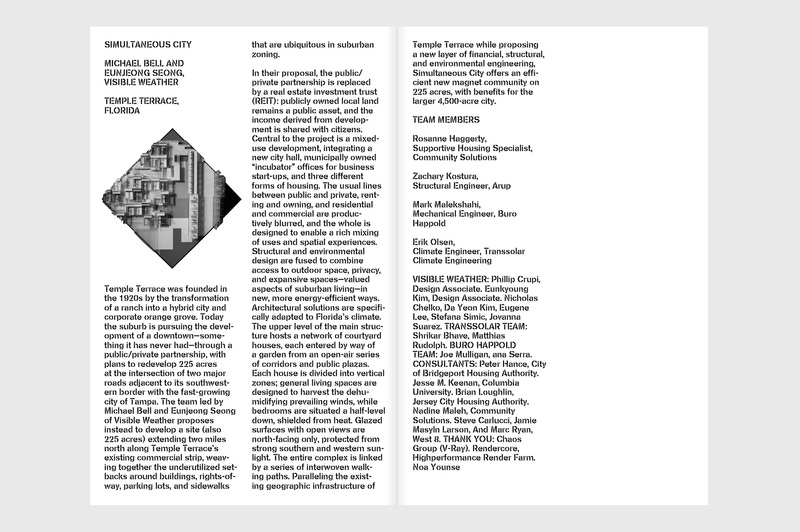 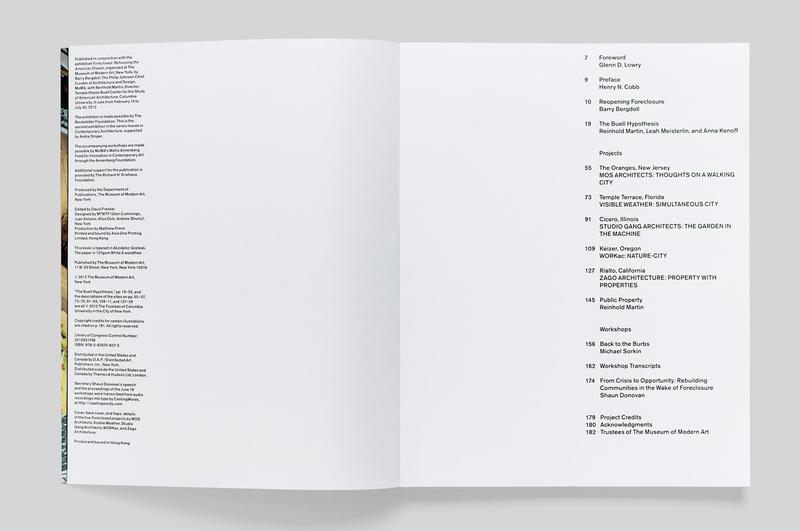 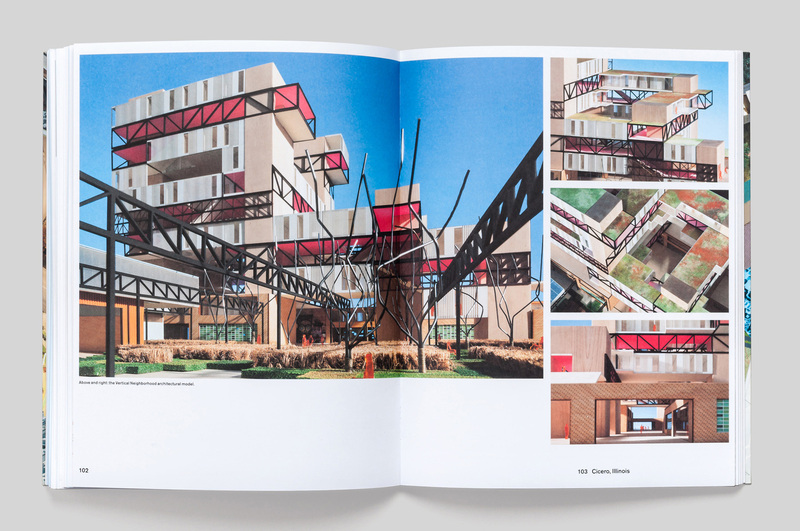 Operating concurrently as a storybook, symbolic object, and technical brief, the book addresses multiple audiences ranging from academics to architects to the general public. 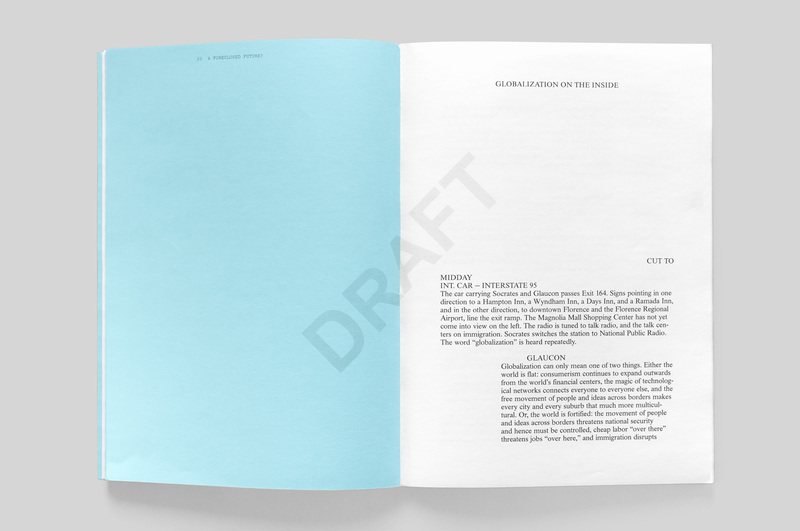 Inspired by bootleg movie scripts sold on the streets of New York, the cover and format of The Buell Hypothesis announces it as both a screenplay and a draft. 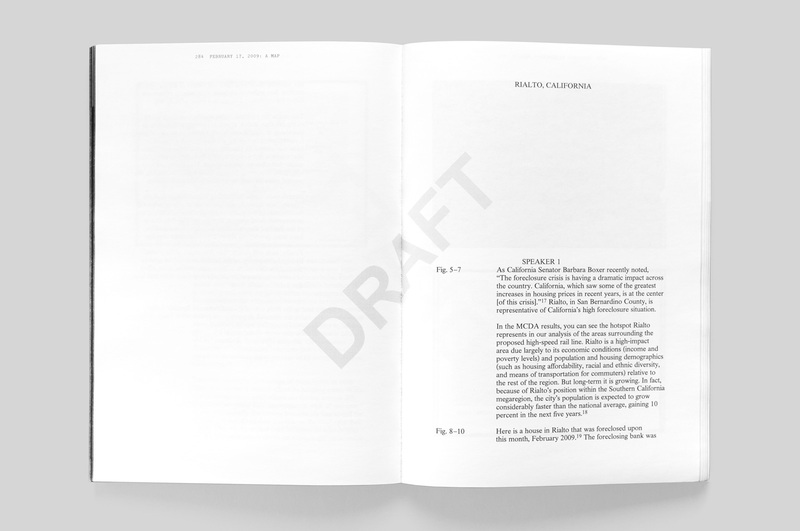 Inside, the book has three components: (1) a screenplay featuring Socrates and Glaucon on a roadtrip together in the present day, (2) a history of public housing told through media clippings and case studies (manifesting as a dream sequence within a screenplay), and (3) a technical brief that describes seven publicly-owned sites slated for private development in pivotal locations around the country (presented as a symposium that Socrates and Diotima attend). 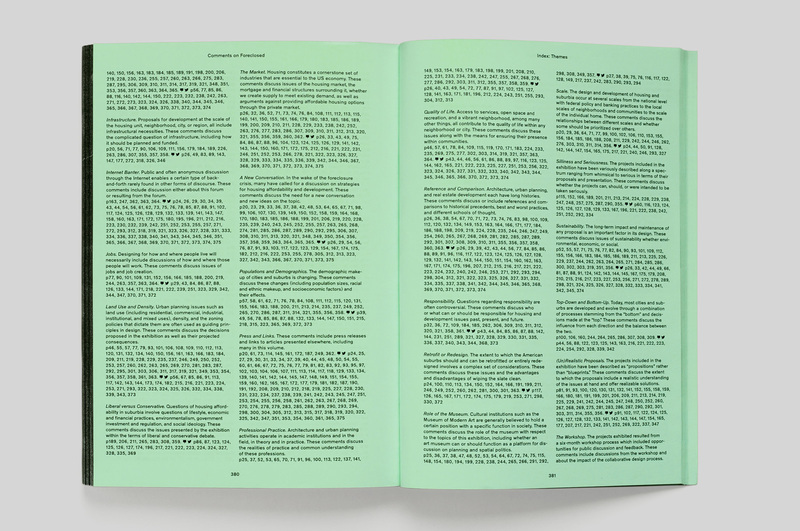 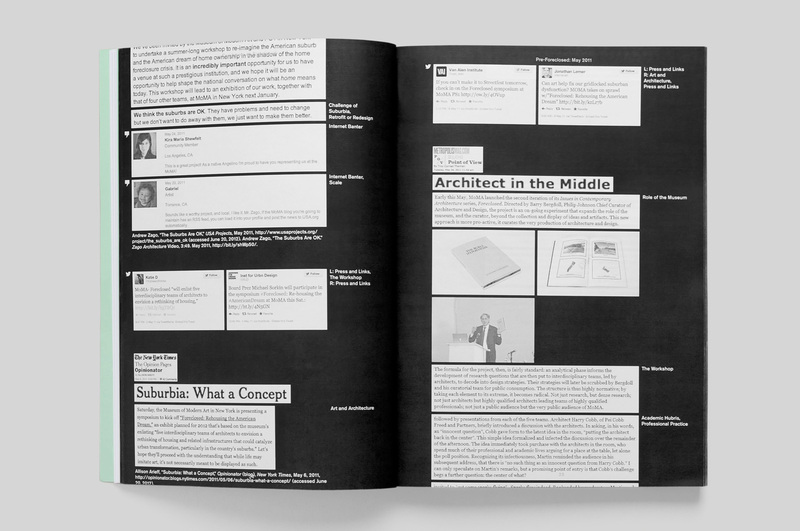 The publication design presents its varied content in a cohesive way without resolving internal contradictions. 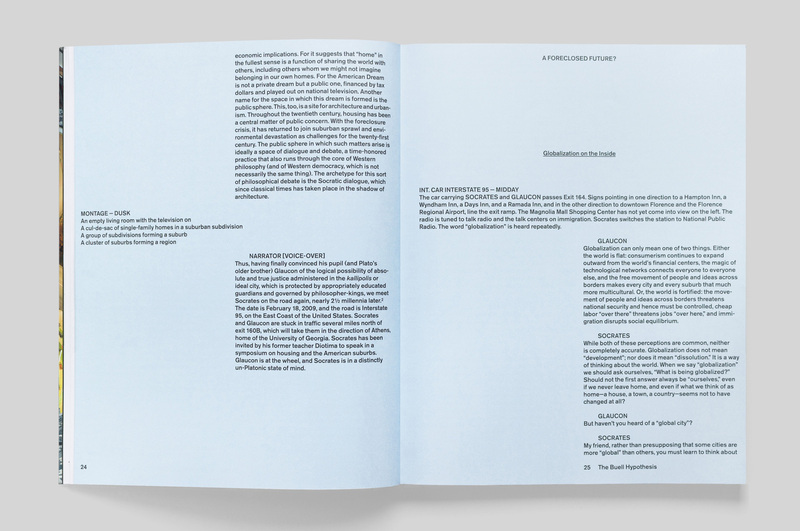 It brings the distinct sections together as a conventional, accessible document, not only to demonstrate how conventional media produces subjectivity and determines behavior, but also to suggest how those cultural imaginaries might change. 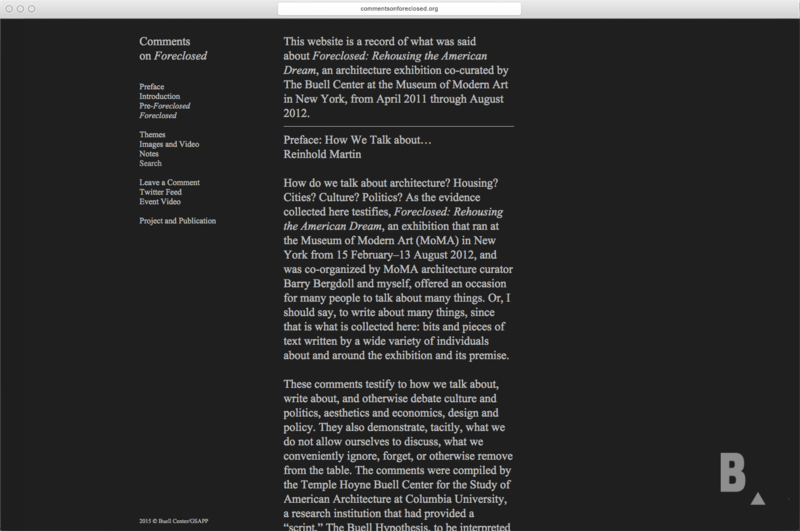 The Buell Hypothesis is part of the Museum of Modern Art’s Architecture and Design collection. 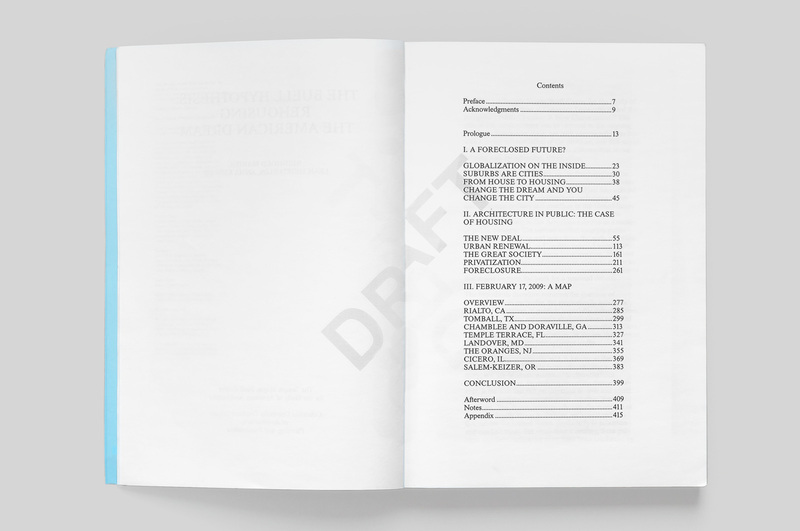 PDF downloads are available via the Temple Hoyne Buell Center for the Study of American Architecture’s website. 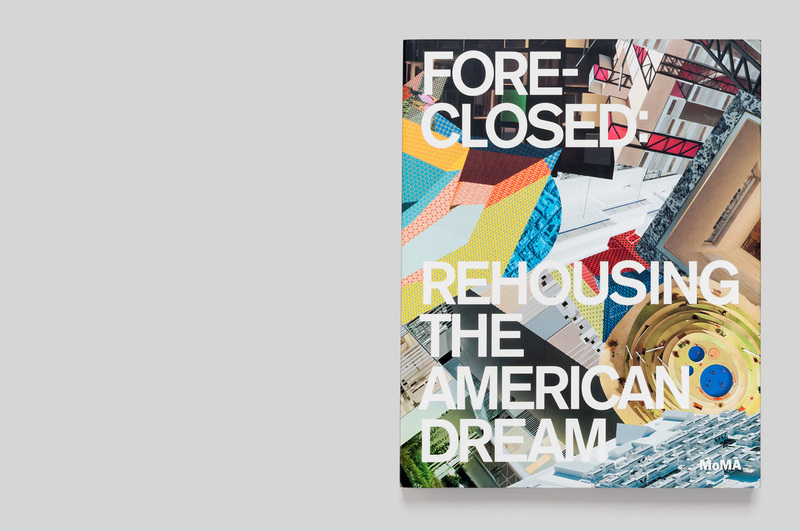 Foreclosed: Rehousing the American Dream is the official publication for the eponymous exhibition and public process co-developed and produced by the Temple Hoyne Buell Center and The Museum of Modern Art, NY. 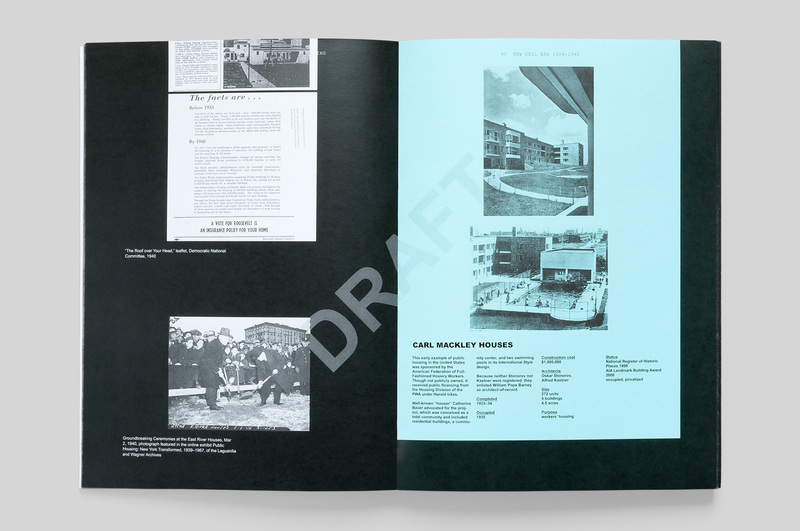 It features five proposals for new models of housing developed in response to The Buell Hypothesis’ provocations and guidelines, presented within the narrative of The Buell Hypothesis’ screenplay. 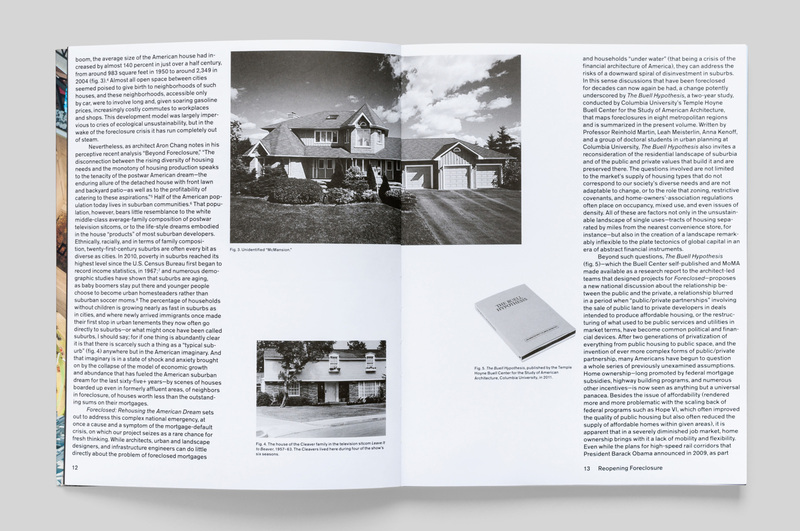 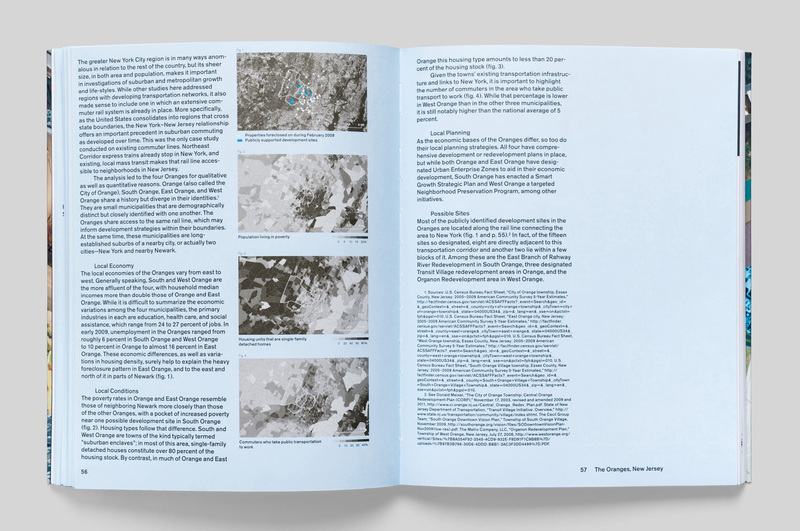 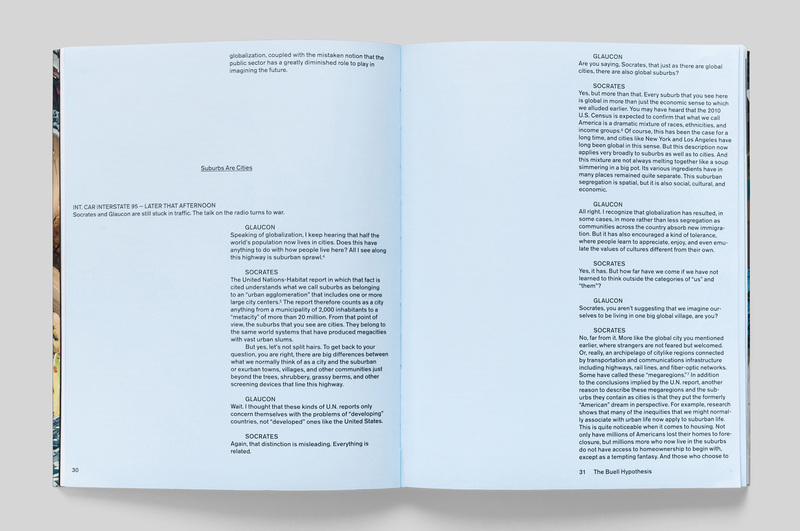 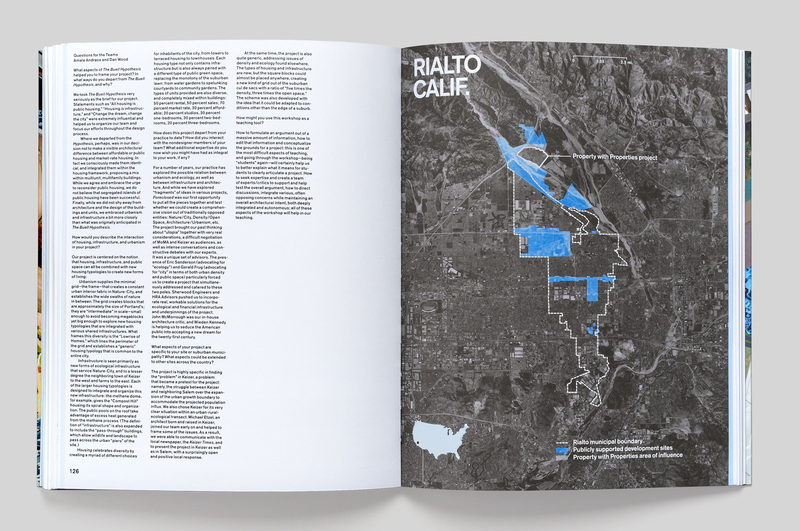 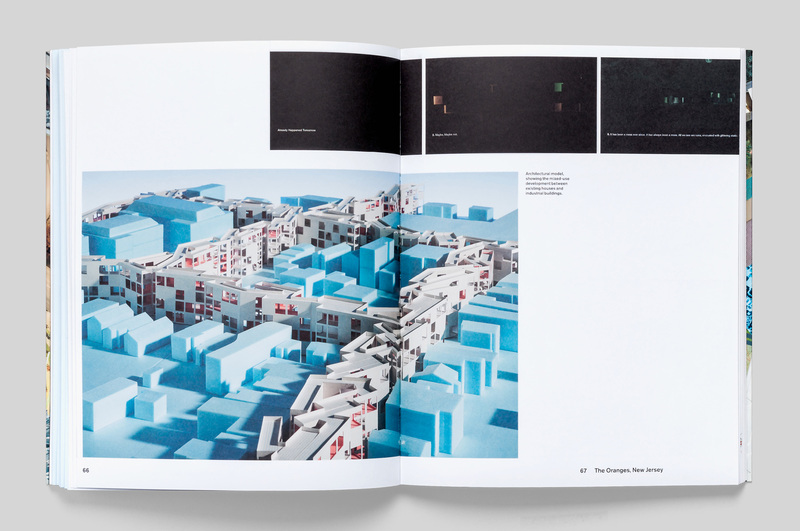 MTWTF’s design uses strong typography and color to establish The Buell Hypothesis’ text as the primary voice of the publication, privileging its ideas and goals, over the visually seductive proposals of the architects. 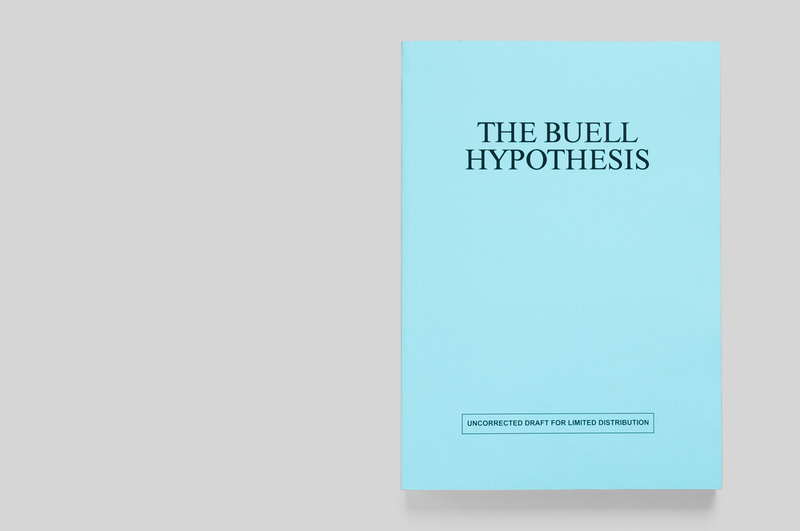 Readers are invited to critically assess the design proposals in relation to The Buell Hypothesis’s goals. 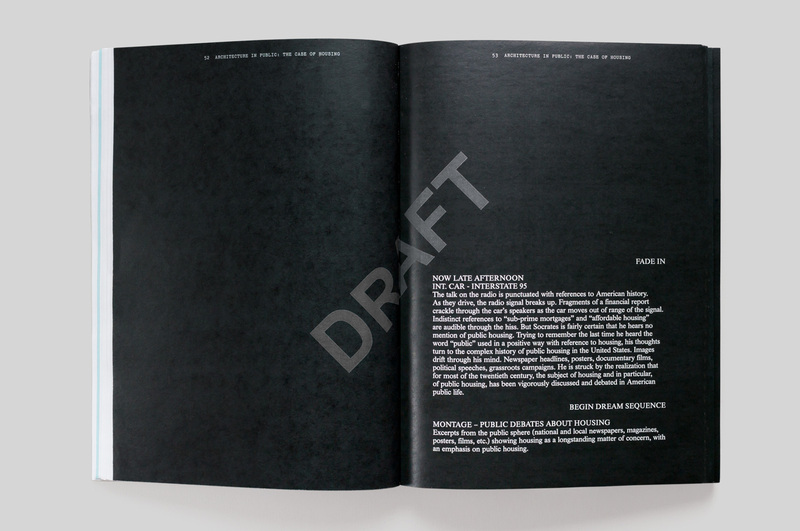 The goal of the publication design is to induce further discussion, rather than suggesting resolution of any kind. 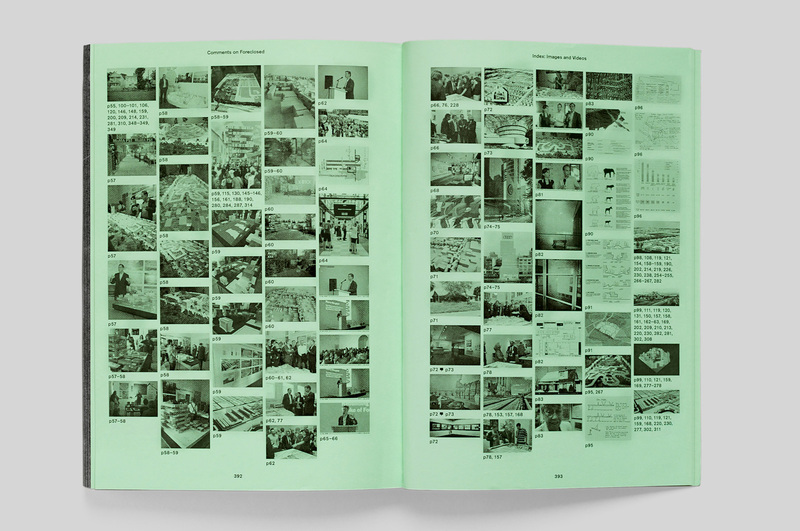 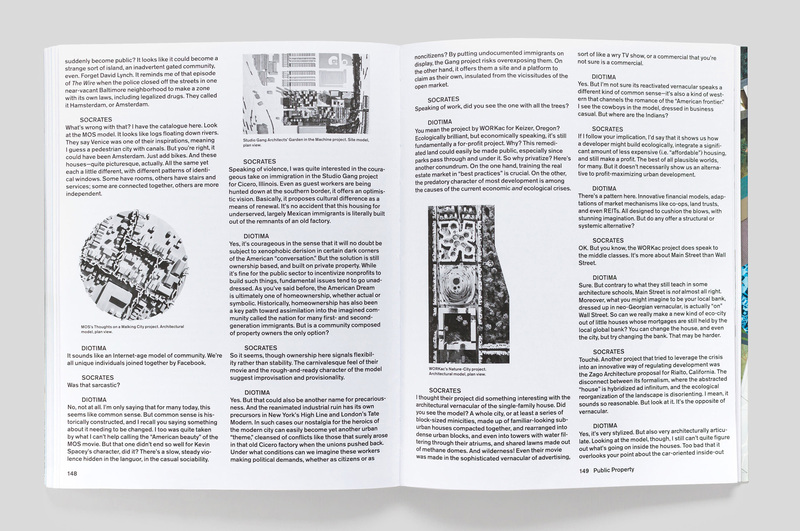 The cover is a swirling collage of all the proposals, suggest the cumulative, discursive field of the exhibition which the curators hoped to create. 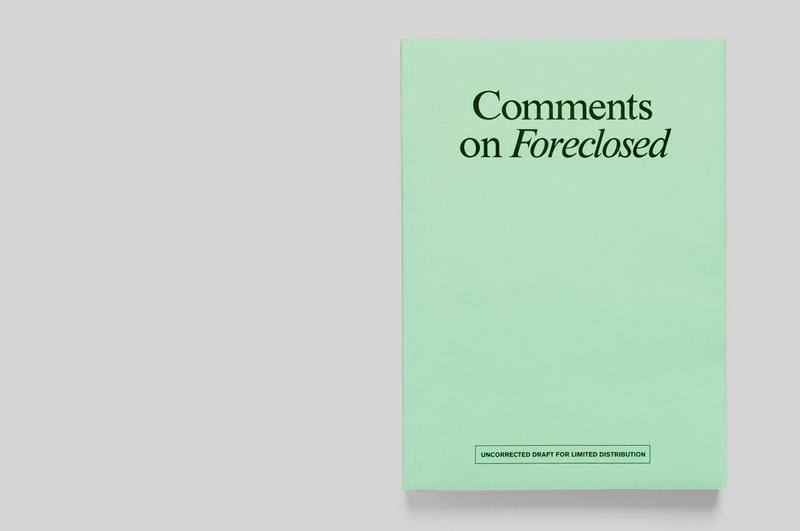 Comments on Foreclosed is a reference book and searchable website that makes the conversation and implied discursive landscape surrounding the exhibition Foreclosed: Rehousing The American Dream visible by exhaustively collecting and organizing all utterances related to the exhibition, including news and blog clippings, audio and televisual files, transcripts, and tweets. 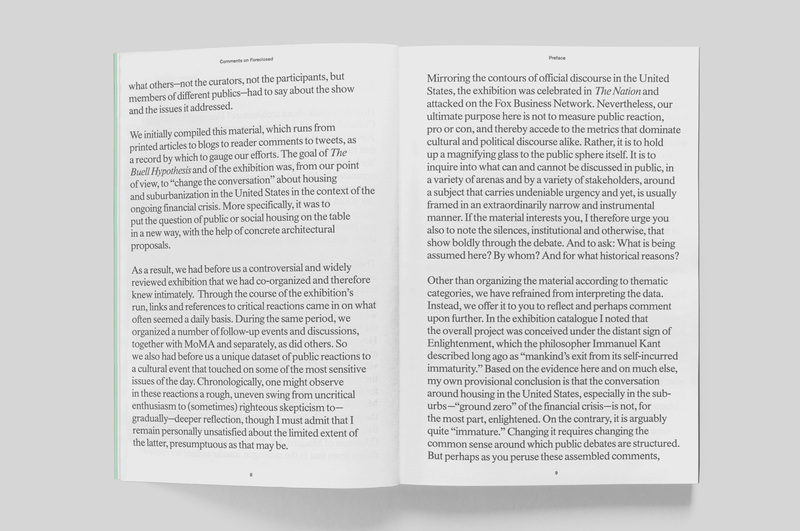 Compiling and presenting the conversation makes it possible to analyze, discuss, and perhaps alter, its shape and limitations. 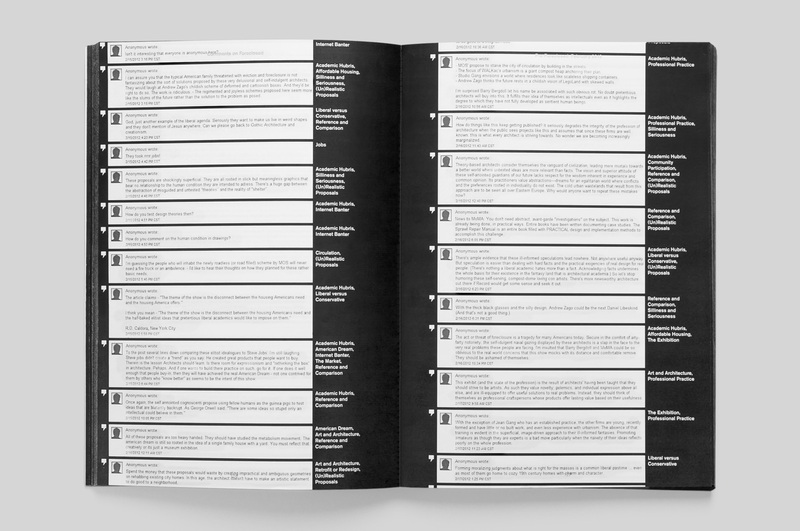 The book version primarily uses screengrabs to portray the conversations that took place. 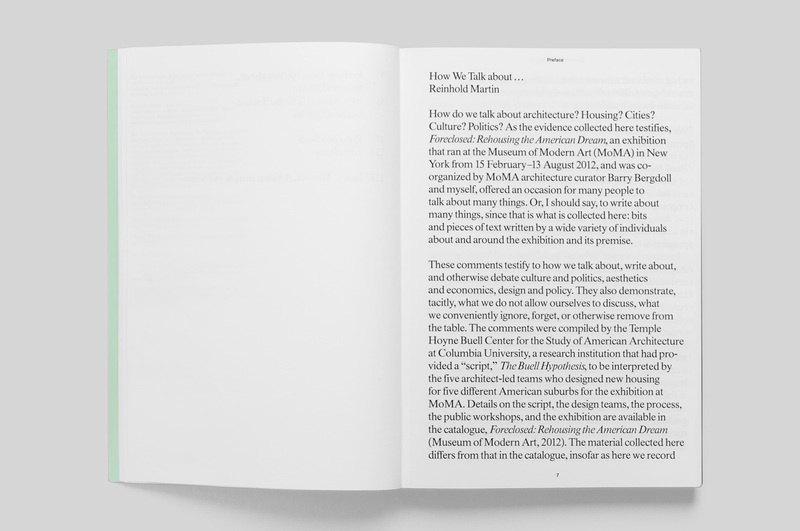 Articles are divided by topic into “clippings” and organized chronologically, along with comments and tweets, into two chapters—pre-foreclosed (before the exhibition) and foreclosed (during the exhibition)—so readers can follow the (non-)emergence of various threads of thought. 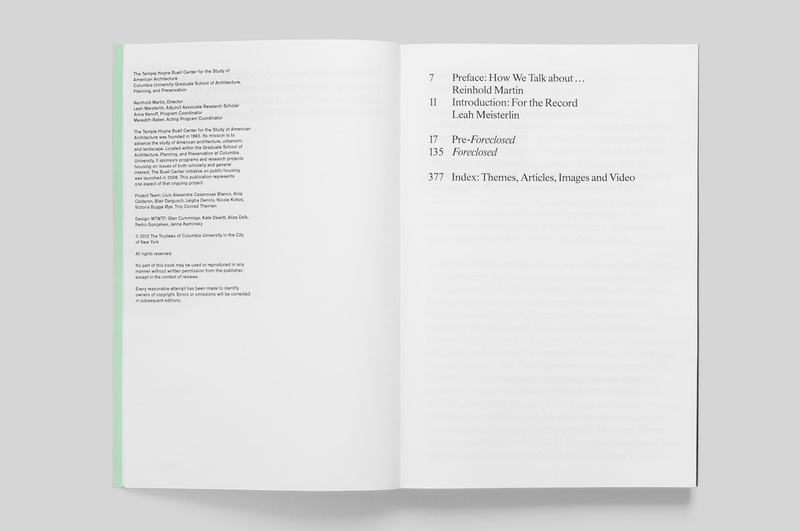 The book provides an index that allows readers to cross-reference articles by theme, article, or image, as well as see the frequency with which each occurs. 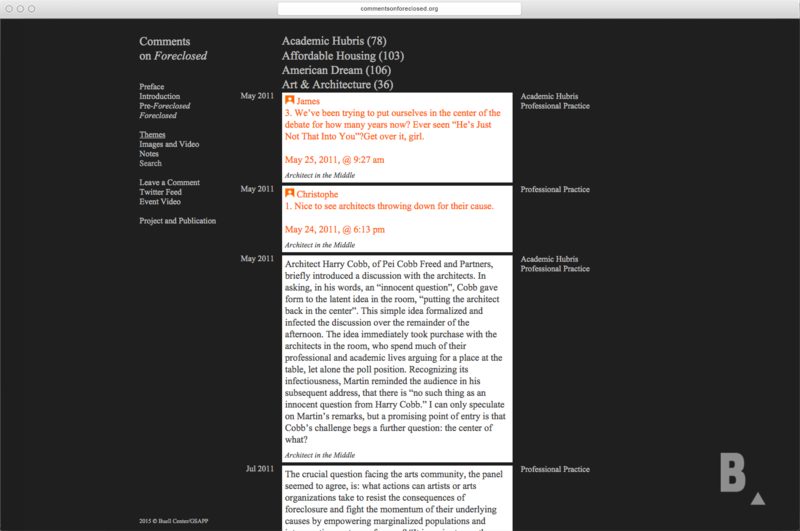 In contrast the companion website translates all articles, comments and tweets into to sortable, searchable texts. 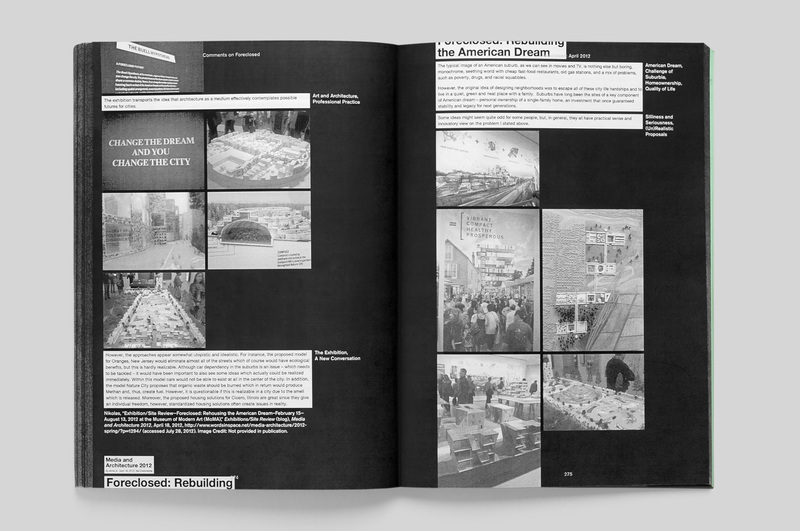 Each is then divided into clips which are indexed by their theme (e.g., “the american dream” or “academic hubris”). 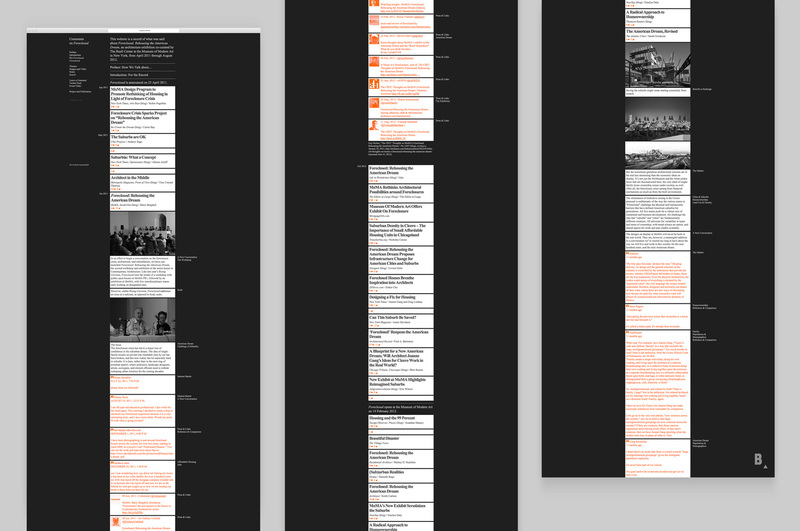 Users can browse headlines, which expand into full articles, or resort the site by theme, allowing them to track specific conversations across multiple articles. 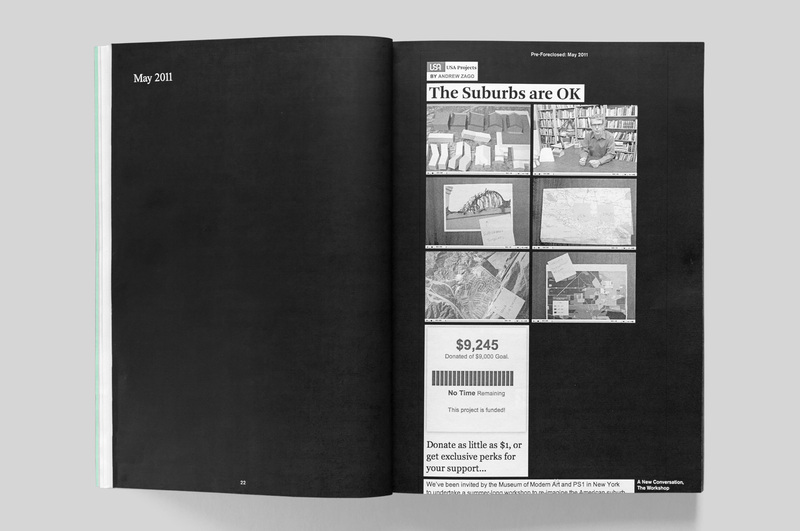 For Comments on Foreclosed MTWTF developed a family of visual devices and organizational strategies to represent, tag and sort the reactions to and discussions around the Foreclosed: Rehousing the American Dream exhibition in order to make an ephemeral public exchange into a useable, legible resource. 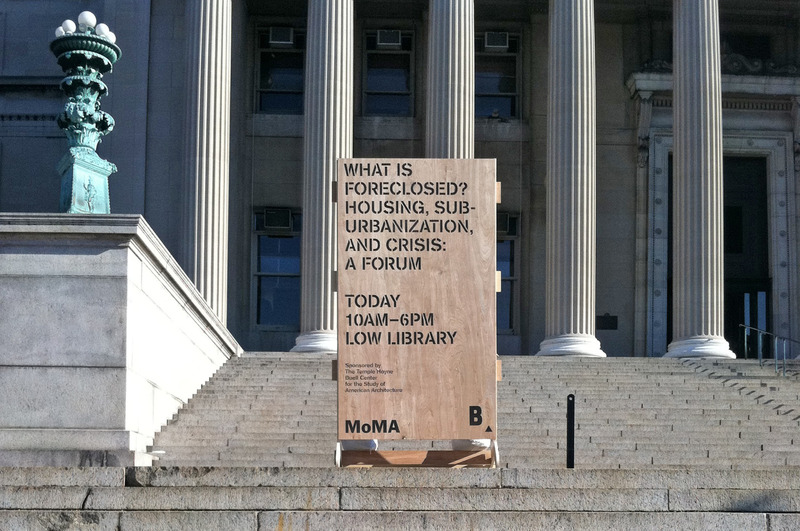 What Is Foreclosed? 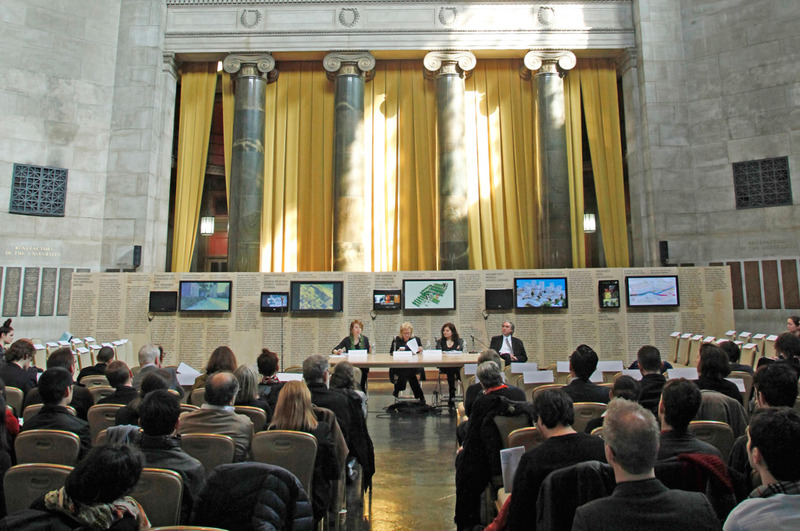 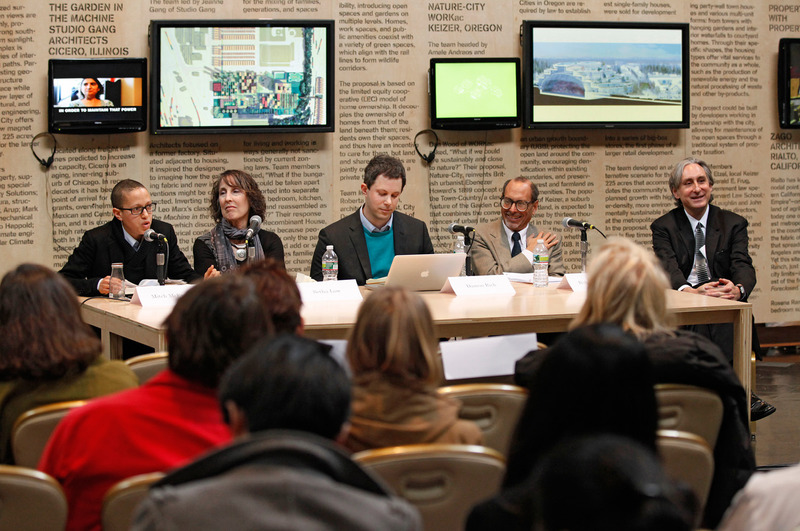 is a traveling version of the exhibition “Foreclosed: Rehousing the American Dream. 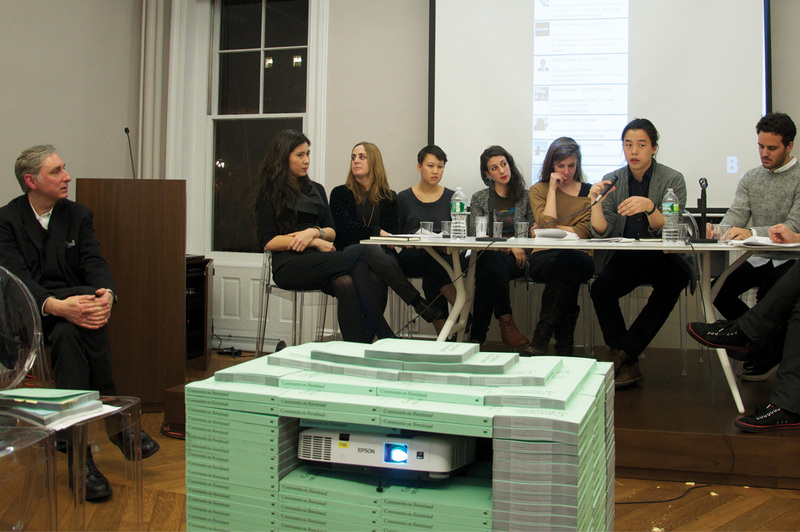 Which doubles as setting for public forums and discussions. 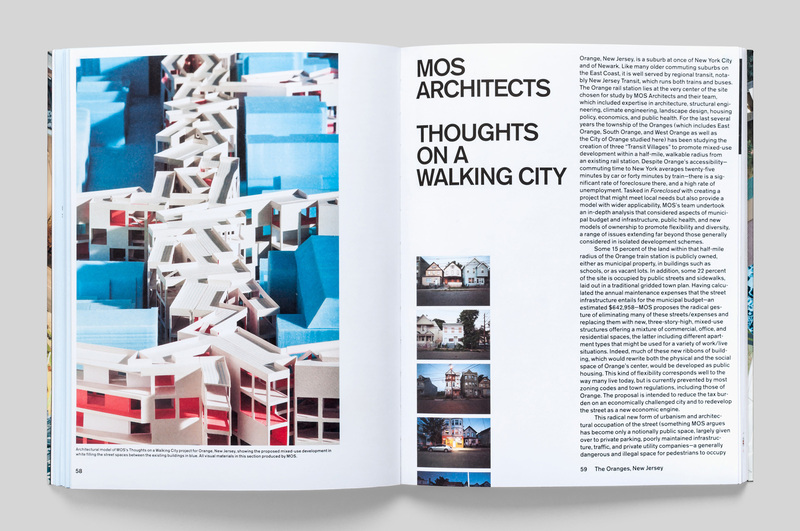 The design features freestanding plywood panels that feature an introduction and five proposals for new models of public housing. 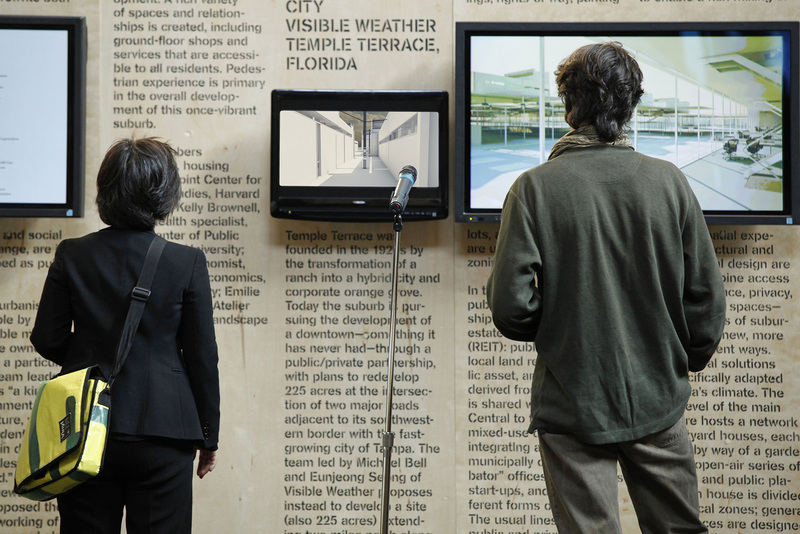 Two video screens display renderings and supplementary content produced for the original exhibition. 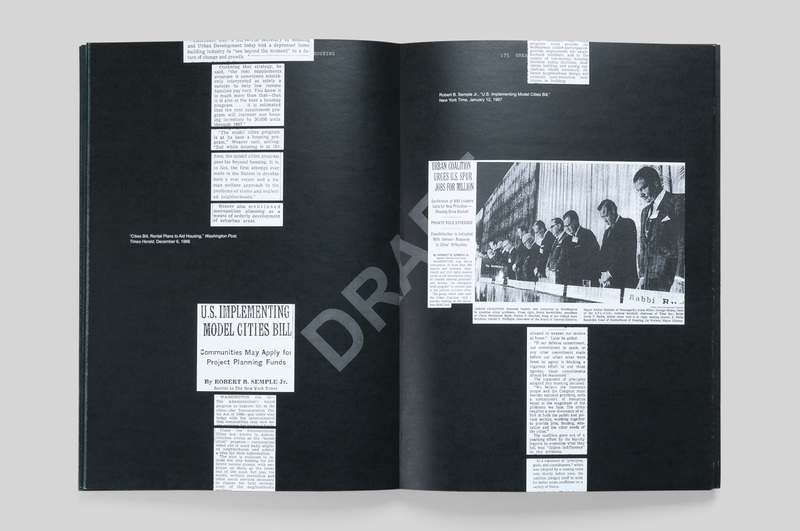 In MTWTF design’s typographic design the content flows across the wood panels and around the video screens as a newspaper spread. 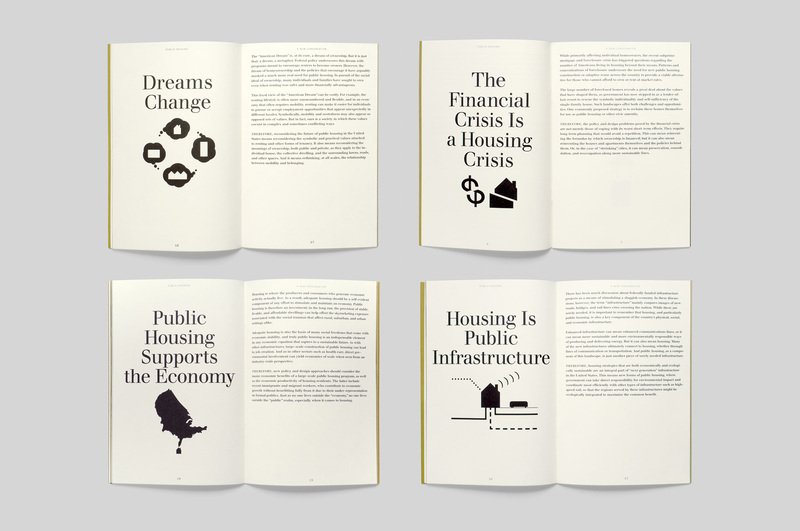 Text is stenciled directly onto the plywood panels in a customized version of the Foreclosed project’s font: Theinhardt Stencil. 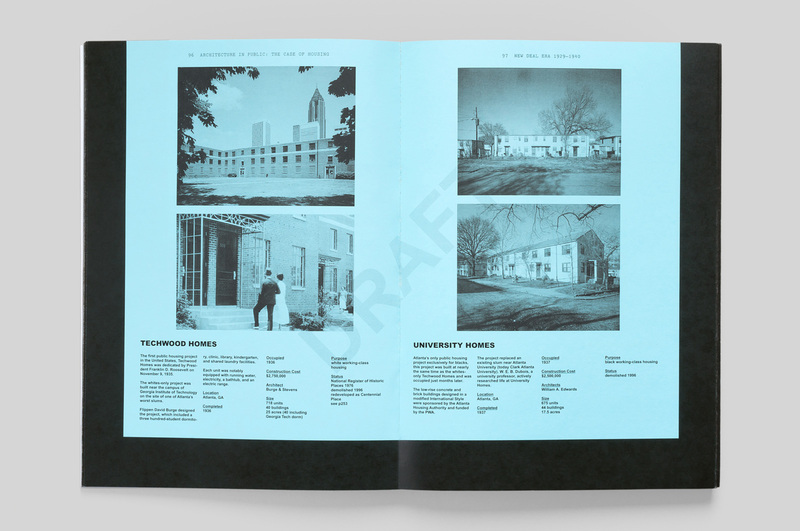 For the first iteration at Columbia University’s Low Library, MTWTF created a matching program guide. 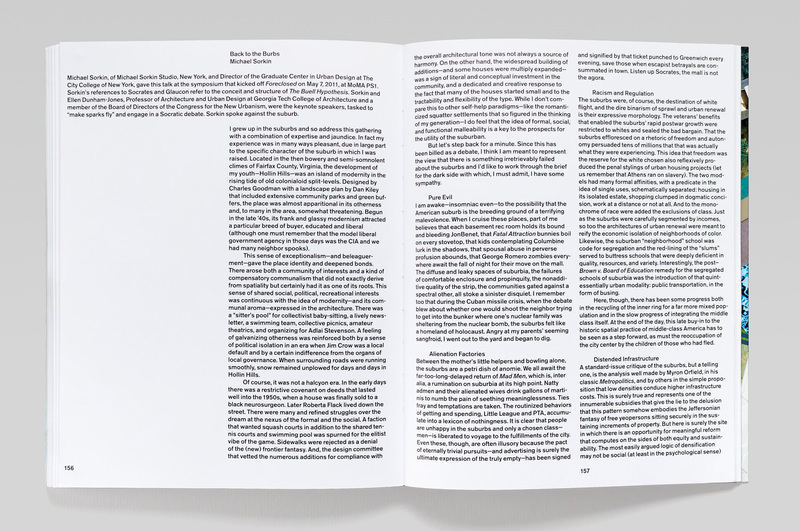 The typographic design and layout attempts to situate participants inside the media space surrounding the exhibition, and in doing so invites elaboration and debate.